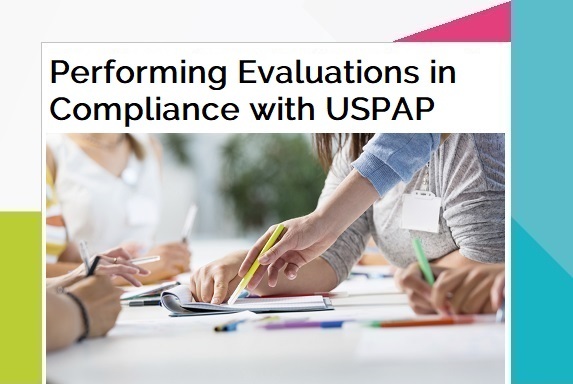 WEBINAR - Performing Evaluations in Compliance with USPAP. Just what is an evaluation anyway? Is it an appraisal? Is there a specific form I’m supposed to complete? Can I perform an evaluation in compliance with USPAP? What, if anything, needs to be added to an evaluation in order to comply with USPAP? Join a Appraisal Standards Board Member, Wayne R. Miller, and Director of Appraisal Issues at The Appraisal Foundation, John Brenan, for this live webinar to get answers to these and many more questions! The webinar will include audio and a PowerPoint presentation.